Best Place to Call Homesubmitted by Thomas R. - Mar 08, 2019 |Recommended: YesI've lived in the Lenox Park Aspire community since Nov 2018, and I'm happy to call it home. The grounds and common areas are always clean and pleasant to visit. I've already used the clubhouse and game room for events, and my guests were impressed. But beyond the comfort and solid amenities, it's the people that make this a great property. Starting with Christa in the Sales Center, she made the application process and overall getting settled in period feel easy. Several times, she went above and beyond to make my transition into the property as smooth as ever. I can't recommend her enough--personable, thoughtful, thorough and a complete delight. And having lived at the Aspire for a while now, I can't say enough good things about Tony and the other maintenance guys. Any request I have had has been taken care of quickly and efficiently. These guys know what they are doing and are professional and personable as well. I look forward to my first summer the huge pool and barbeques ...and feel confident it will be great given the experiences I have had to date. Good place to live near Buckhead area. Affosubmitted by Cedric W. - Feb 01, 2019 |Recommended: YesGreat location and overall friendly customer service. Great property to live. Friendly atmosphere and good amenities. Close to everything.submitted by Charles S. - Feb 01, 2019 |Recommended: YesNoise levels are pretty good. I can hear my neighbors but it's negligible. Very welcoming and comfortable environmentsubmitted by Ashleigh L. - Dec 25, 2018 |Recommended: YesI lived here for about 6 months and was very pleased with my apartment complex. The gated community felt very safe and the staff were so helpful and nice. Since I’ve lived here....submitted by Earnest A. - Oct 17, 2018 |Recommended: YesI love living here. I have been here quite sometime and the only thing that bothers me is my rent goes up a 100 every year. Staff is great, neighbors are great and maintenance are the best part. Great Property in a Great Locationsubmitted by Emily M. - May 22, 2018 |Recommended: YesBeautifully updated apartments in a nice community. Great location in between both Buckhead and Brookhaven, with easy access to I-85 and 400.
response from property - May 23, 2018 Emily, Thank you for sharing your feedback! We are excited to have you as a vauled neighbor! Great area, great locationsubmitted by Tom K. - May 07, 2018 |Recommended: YesGreat location, helpful staff, affordable for the area. Nice Apartment Homesubmitted by Pramod K. - May 06, 2018 |Recommended: YesThe units are well maintained and is located conveniently to nearby stores and close to Lenox Park. It is located in lush green surroundings. I like the open and spacious apartment units. Also, the staff is friendly and eager to help. On another note, Housekeeping staff need to take care of the common areas when they are not clean. Overall, enjoying the stay at my place. 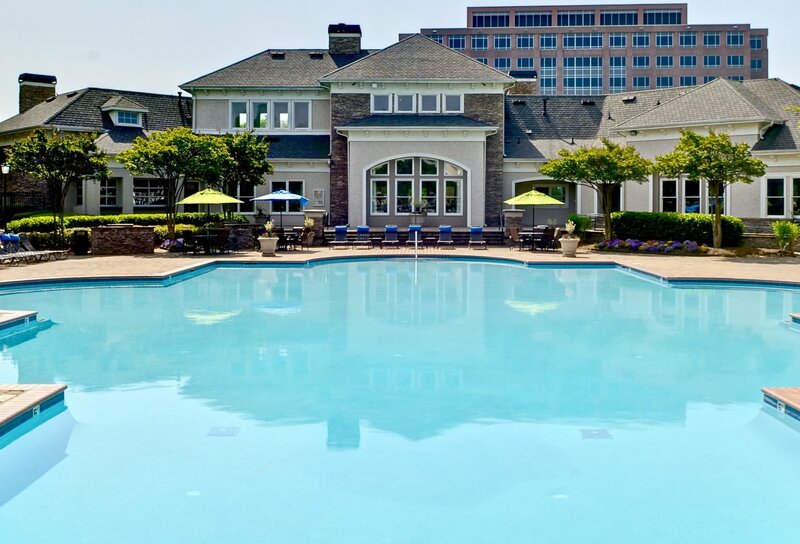 Best Value in Buckheadsubmitted by Jonathan H. - Feb 26, 2018 |Recommended: YesI have enjoyed my time here at Aspire Lenox Park. The staff is particularly friendly and they always greet me and Cali my boxer pup . Probably the cheapest rent you'll find in the immediate area, given that we are not located directly on the Peachtree Rd corridor. The apartment grounds always look well manicured. The only issue that I have is the amount of dog waste that is ALWAYS laying around the property. Not necessarily a fault of management, as there are several dog bag stations throughout the neighborhood, but it seems that very few residents pick up their dog waste. There was a week where I stepped in dog poop 4 times, dragging into my home and forcing me to throw away a couple of pair of shoes. response from property - Feb 28, 2018 Jonathan, Thank you SO much for taking time to provide feedback about our community! We are elated that you and Cali are happy here, and enjoy having you both as members of our community. We will always look forward to Cali's daily "treat time" at the office. :) We also appreciate your input about the pet waste. Our staff explains this responsibility to all pet owners, but unfortunately some individuals do not comply. Having said that, we will send out a community wide message offering a friendly reminder to do their part and clean up after their pet. Pleasant place to live, no complaintssubmitted by Jocelyn S. - Feb 23, 2018 |Recommended: YesI really enjoyed my stay at Aspire. I have no complaints about the apartments as a whole. The apartments are beautiful and the neighborhood is quaint. The location of the apartments was one of the best things for me, I felt I had a lot of privacy. Staff is friendly and maintenance was efficient.